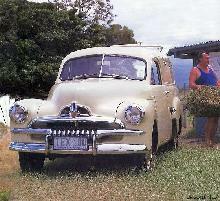 Although the Holden FJ resembled the 1948 Buick, it was sold as an Australian design. 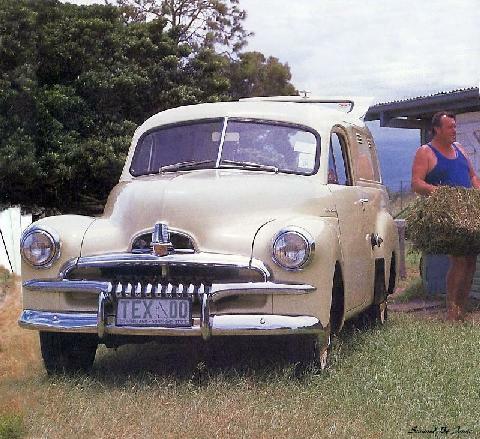 The 2.1 litre six-cylinder engine in the FJ produced 65 bhp and had a top speed of 75 mph (120 kph). The FJ was 175 in (4,440 mm) long with a 103 in (2,620 mm) wheelbase. 0' 103" 0' 0" 0' 0" 0' 175" 0' 0" 0 (0) 0' 0"